Dano Forte's Juke Joint Freak Show LIVE this Wednesday at the Anchor Bar In Costa Mesa!!!!!!!! A Deeper Shade of Blue now playing at a theater near you! Join other members of the surf community to cheer and enjoy this exciting new film filled with stoke and Aloha! Tyoe in your Zip Code when you get to the Fandango Ticket Ordering page. On Saturday evening, March 23, from 6-10 pm, Surfindian will host an opening party for our new exhibition featuring the original paintings of artist David Hanson. 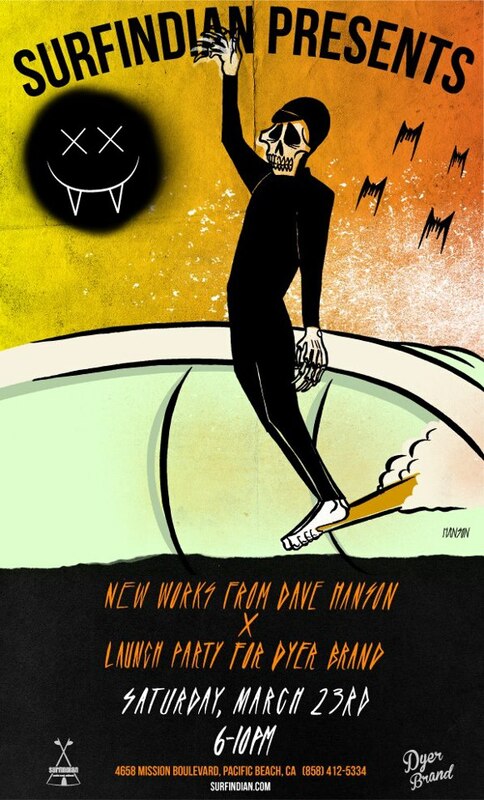 Dave was the featured artist at one of Surfindian's first exhibitions nearly five years ago, and we're extremely excited to have him back for a new show. Dave's art has grown in popularlty over the years: his artwork was featured on one of Surfindian's most successful tshirts; his drawings are now seen on fins and other products from Captain Fin; and last year he completed a very successful art show as part of Japan's Green Room Festival. Dave's world of surfing vampires, stranded sea captains and other zany characters reflects a whimsical look at a surfing world that all-too-often takes itself too seriously. And besides that, Dave is a really great guy. As part of the March 23 opening party, Surfindian will also debut Dyer Brand surfboards and apparel. In keeping with Surfindian's dedication to offering products that are made right here in the USA, Dyer Brand is proud to be American-made. Dyer Brand is the brainchild of San Diego-based surfer and shaper/designer/artist Mason Dyer, and it features surfboards and a full apparel line. All of the surfboards are shaped by Mason, and they reflect a hip, modern eye heavily influenced by traditions from the 60s and 70s. The Dyer Brand apparel line consists of a full line of vintage-inspired, timeless products that are designed to become a permanent fixture in your wardrobe, including tshirts, pants, jackets and boardshorts. 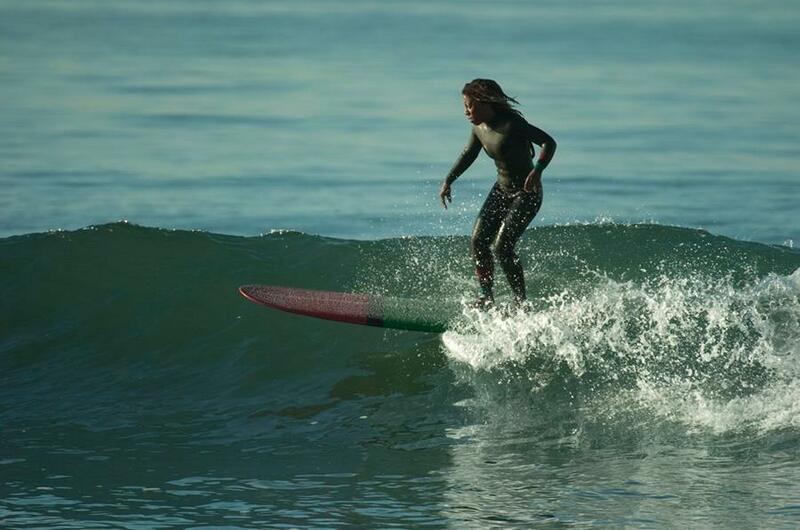 Dyer Brand will be a regular part of the Surfindian collection starting with its introduction at the March 23 party. As usual, the evening will also feature refreshments, musical entertainment and a few other surprises, and there is no charge to attend. Please join us on Saturday evening, March 23, from 6-10 pm, to check out the unique and original art of David Hanson, and to welcome Dyer Brand to the Surfindian collection. Surfindian is located at 4652 and 4658 Mission Boulevard, San Diego, California 92109. You can reach us via phone at 858.412.5334, or please visit our website at www.surfindian.com. 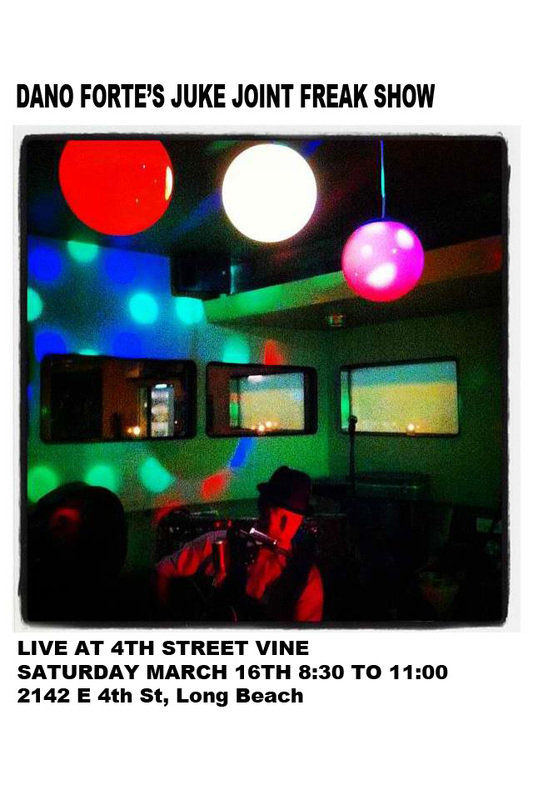 Dano ForteJuke Joint Freak show LIVE at 4st Vine Saturday night!!!!!!!!!!!! !